Clarion Santa Claus is a four star hotel, located in the city of Rovaniemi. The hotel is situated near the University of Lapland, Santa Claus' Village theme park and close to the major attractions in the city. 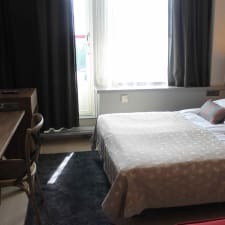 The hotel offers accommodation in 167 guest rooms, which are equipped with TV with cable and satellite channels, free wireless high-speed internet connection, air conditioning, safety deposit box, coffee maker, individual heating, mini bar and trousers press. Bathrooms are private and have shower and hairdryer. There are rooms available for non smokers and some of the rooms have balcony. The hotel has a restaurant which serves dishes of traditional cuisine and specialties of European cuisine. The bar serves alcoholic and soft drinks and cocktails. Additional facilities in the hotel include meeting rooms and a business center, exchange office, gift shop, indoor and outdoor parking, internet access, free breakfast, fax and copy machines, elevator and sauna.